It’s really only been three weeks, but it feels like it’s been a year since I posted! It’s not that I don’t have anything TO post…on the contrary, I have quite the backlog. But crazy workload plus travel has kept me away. 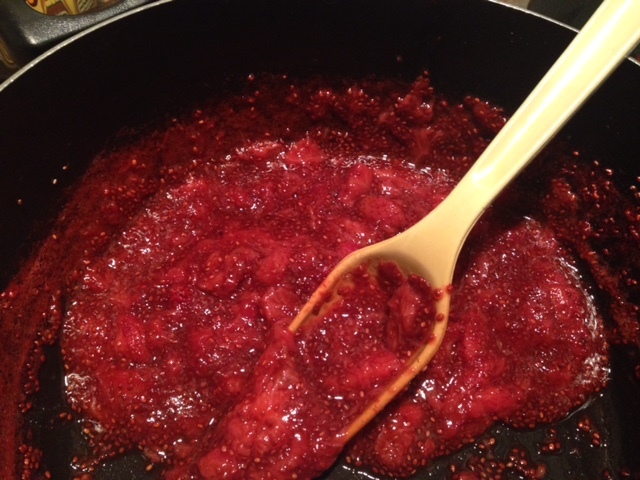 I’m easing back in with this no-fuss strawberry jam recipe. Why jam, you ask? 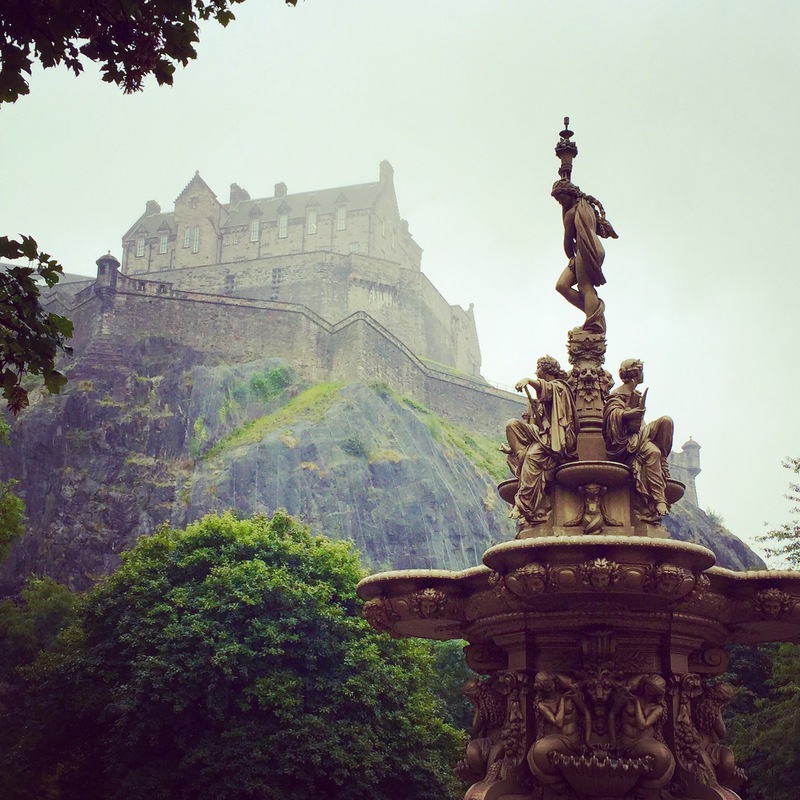 Well, I just got back from spending a week and a half in the Scottish highlands and a number of the islands, plus a day in Edinburgh, which meant tons of pub food, breakfast fry-ups, and sticky toffee pudding. 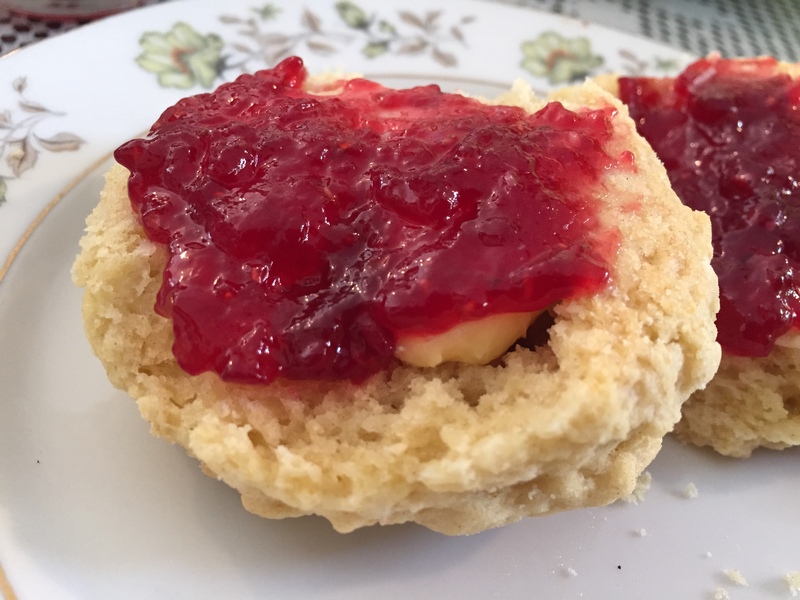 But one of my absolute favorite things when traveling in the U.K. is a plain scone with butter and strawberry jam. Their scones have an unreal crumb…my mission in life is to somehow recreate it. And it’s perfect with just some simple butter and jam. Boy, I ate a ton of these! 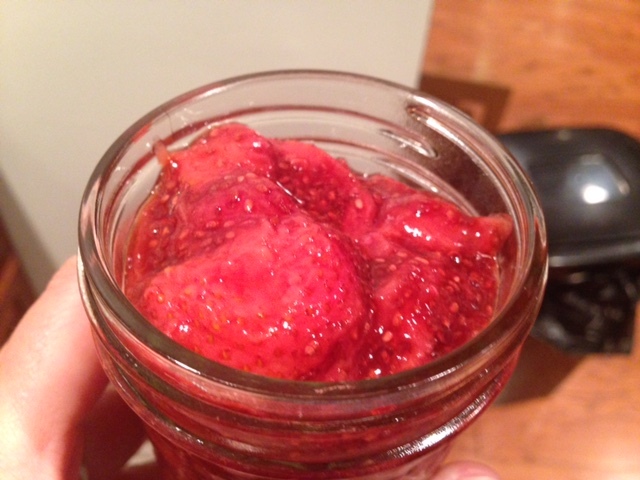 This jam isn’t quite the same (for that, you can use my super easy balsamic strawberry jam recipe, also no pectin). But it’s got the interesting addition of chia seeds for texture and thickening, it’s a little less sweet (I barely put any sweetener in), and it’s super easy. You can get it started and then focus on making dinner or baking something, just stopping to give the jam a quick stir every so often. I used fresh strawberries this time, so I needed to cut the green tops and white middles out (they’re tasteless and useless). 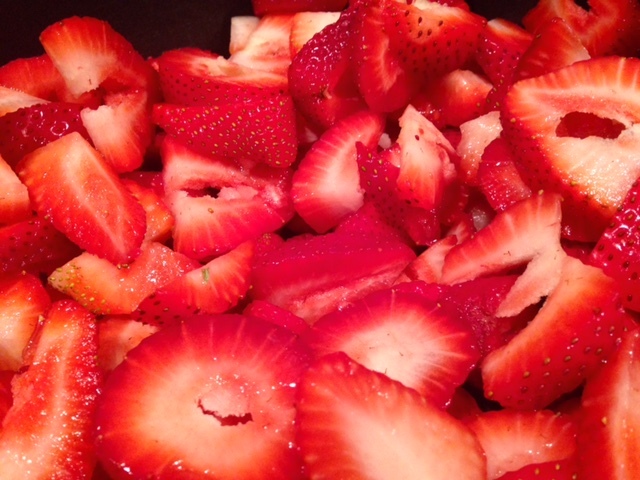 Cut the fresh berries into larger chunks or slices. If you’re using frozen, no need to thaw or chop. 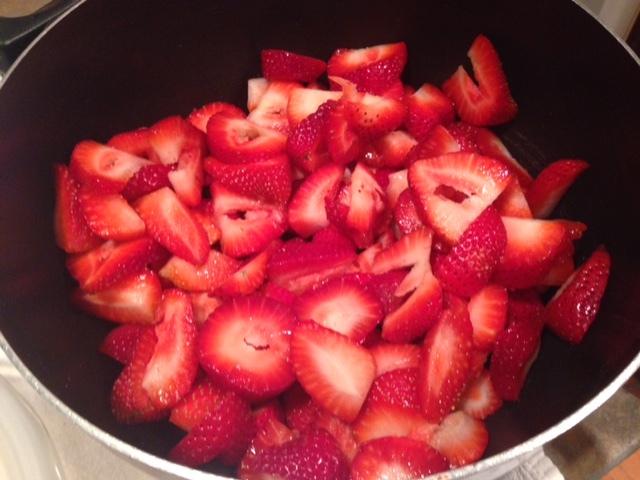 In a big saucepan, combine the berries and your chosen sweetener (I used maple syrup). Cover and bring to a simmer over medium (real medium, not medium-high) heat, stirring frequently. The berries will get hot and saucy—will take at least 5 minutes, probably more. Once they are, gently mash the berries with a potato masher or form to break them up and smoosh them. 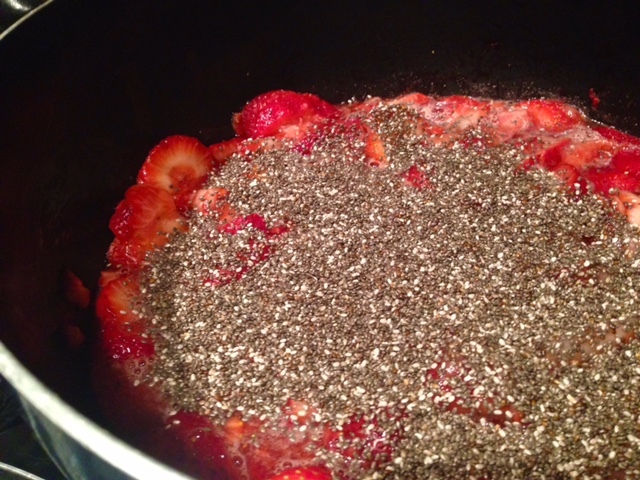 Reduce the heat to medium low and stir in the chia seeds. 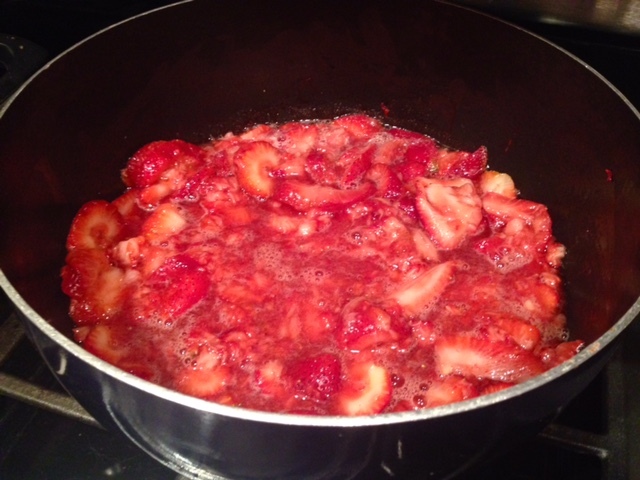 Cook, stirring frequently, until the jam is reduced and looking thick and jammy (another 15 to 20 minutes). Remember that it will continue to thicken as it cools as well. Remove from heat, taste, and add any more sweetener you think it needs. You can jar/can this using the European method, which is really straightforward. Dip the jam into mason jars while still hot, add the jar tops and rings, and then turn them upside down. The heat helps seal the jars (good for a few months, not 20 years). 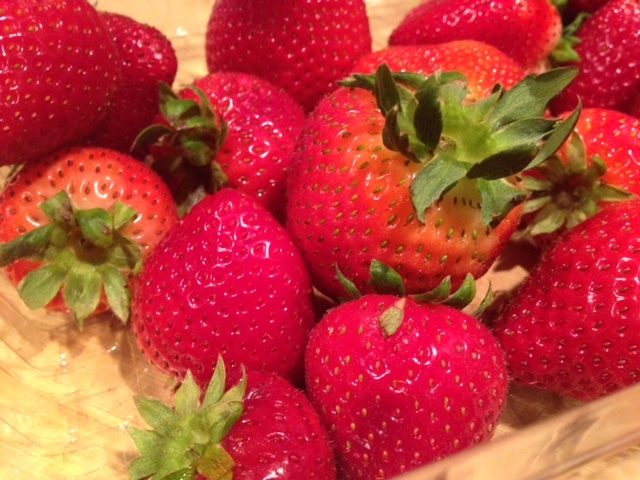 In a medium saucepan, combine the berries (no need to defrost if they are frozen) and your chosen sweetener. Cover and bring to a simmer over medium heat, stirring frequently. Once the berries are warmed throughout and saucy (5 minutes or more), lightly mash the berries with a potato masher or fork. Reduce the heat to medium low. Stir in the chia seeds and cook, stirring frequently, until the jam is reduced and looking, for lack of better term, jammy (15 to 20 minutes). Note that the jam will further thicken up as it cools. Remove the pan from heat, taste, and add more sweetener if you’d like.